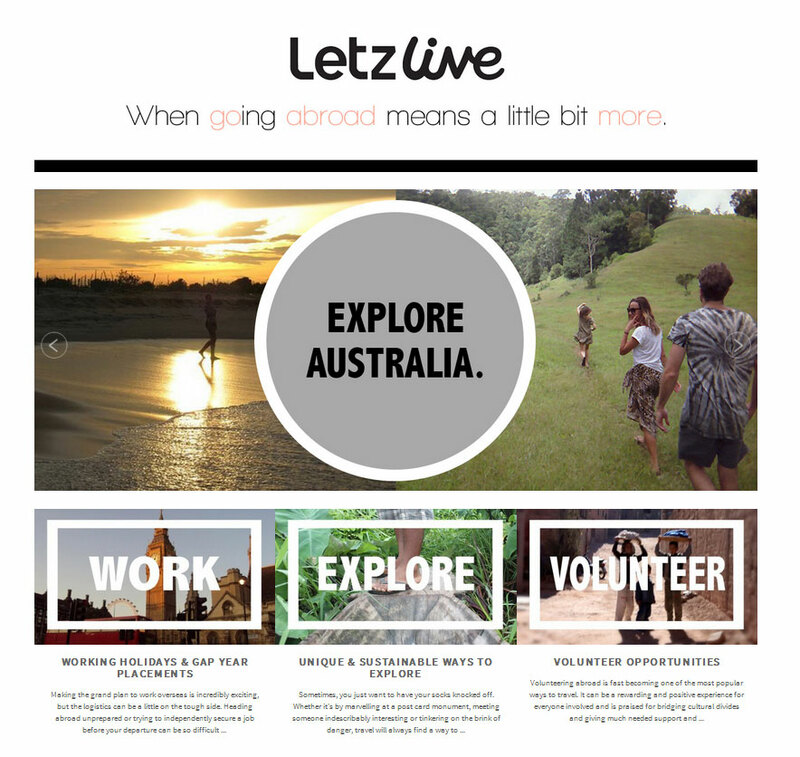 Letz Live, the leading provider of Gap Year programs in Australia has just launched a new website packed with interesting information if you are planning to work or volunteer overseas. The website has its new look, easy to navigate and supplied with comprehensive information to some of your favourite destinations around the world. If you are looking for an opportunity to volunteer abroad, Letz Live offers gap year and working holiday placement to countries like UK, USA, Central American countries, the West African countries, Asian countries and a lot more. With valuable years of experience in gap year placement industry, Letz Live is equipped with gap year professionals and specialists dedicated to provide people with the opportunity to gain a unique and rewarding experience overseas. Working or volunteering abroad will not only give you the chance to discover other country’s remarkable destinations but also the benefit of learning their cultures and traditions, their language and way of living. The feeling of happiness and excitement in volunteering abroad such as in orphanage or boarding school is a life-changing experience. Not only that Letz Live provides gap year placements for students but this opportunity is open to all who are keen to work on holiday or volunteer a work abroad. Visit Letz Live website for a list of countries you are eligible to go in or call one of their representatives for more information. Posted on Friday, 8th November 2013 in the Gap Years, Working Holiday category.